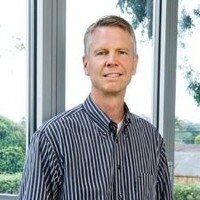 With former sales leadership responsibilities at companies like Citrix, New Relic, and most recently Classy, Roberts brings 25 years of expertise to his new role. His extensive experience developing sales teams to deliver SaaS solutions to high growth markets is destined to aid in the growth, development, and success of ContractWorks and help the company ascend to new heights. Roberts’ leadership style and customer-centric approach to the sales process will undoubtedly lend itself to support SecureDocs, Inc.’s existing commitment to providing outstanding service and support to all individuals evaluating, implementing, and using SecureDocs Virtual Data Room and/or ContractWorks Contract Management Software. Tell us about your background. How did you come to SecureDocs, Inc.? I have a long history with the founders at SecureDocs. We all worked together on the leadership team at Citrix Online, where I spent 8 years. We had a very successful run building a $650M business around the GoToMeeting software. I moved on to New Relic in San Francisco where I led the global sales efforts of over 100 salespeople and sales leaders. I was fortunate to be able to participate in our bell ringing ceremony on the floor of the NYSE to celebrate our $100M IPO. My most recent role was leading the sales team at Classy in San Diego, where we delivered fundraising software to nonprofits all over the world. SecureDocs brought me back home to Santa Barbara and reunited me with Will Reynolds and Albert Oaten, the co-founders of SecureDocs. It's great to be back home after 4+ years! I spend the majority of my day on customer calls. My first order of business is to understand how we interact with our customers and what's important to them. Understanding our customers' key challenges and how we address them is my top priority in my first few months on the job. What are some of the best features of ContractWorks in your eyes? The ability to organize and alert on key dates and milestones is hugely valuable to our customers. The simplicity and intuitive design of the UI is not only a key competitive differentiator, it also leads to strong customer adoption. Our e-signature tool has been thoughtfully designed and provides another valuable tool for our ContractWorks customers. In my discussions with customers, ease of use, security, and simple and affordable pricing are most important. Audit trail reporting and activity alerts are also very important. "Lonesome Dove" is a great book on the Old West and one of my favorites. More recently, "Shoe Dog" is a fascinating read about how Phil Knight followed his passion, persevered through adversity, and eventually created the Nike empire. Chinatown, The Departed, and The Big Lebowski. Santa Barbara is an outdoor sports mecca, so tennis, golf, hiking, and enjoying the beach are at the top of my list , as well as traveling with my wife and 2 daughters.